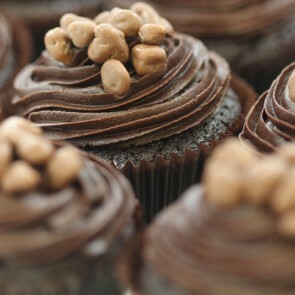 At The Little Cupcake Company, we want everybody to enjoy our delicious goodies. So, for those of you who don’t eat gluten, our two ranges made with gluten free flour are the way to go. Just because they don’t have gluten, doesn’t mean they are any less delicious than those that do. We have extensively taste tested these sweet treats so that you get the best flavour with every mouthful. The result is such a gorgeously fragrant, delectable cupcake that once you’ve tried one, you will come straight back for more. Even your friends will want them they’re that good! Light, airy sponge topped with delicious swirls of mouth-watering buttercream frosting will make each bite pure pleasure as you bask in that amazing freshly baked scent. Deliver a beautifully wrapped gift box of these delectable goodies straight to a friends door, or order them online for yourself and treat your senses to a truly unique cupcake. 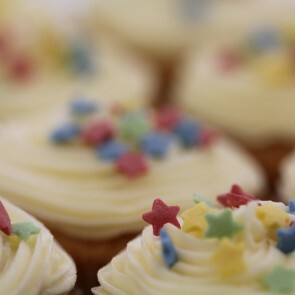 Send them to friends and family across London and the UK by ordering online from The Little Cupcake Company. Available with next day delivery or on the date of your choice.